Let me start off by saying, writing fan-fiction is not a waste of time. Fan-fiction (commonly known as fanfics) is yet another genre of writing that obviously falls under the ‘fiction’ category. For those of you who live under a rock and don’t know what I’m talking about, let me explain what fan-fiction is. You know that feeling when a television series ends or you finished reading a really great book and you want more? That’s what fan-fiction is for. It gives you the story beyond the story – the look into the ‘happily ever after’ of your beloved characters. So how did fan-fiction become to be? The first known works of what we call fan-fiction was dated back in the 1740s, when a series of unauthorized sequels to a popular novel, Pamela; or, Virtue Rewarded, were published. These ‘sequels’ expanded on the character’s life after the book ended, but since these works were not written or authorized by the original author, they are considered to be fan-fiction. The word fan-fiction did not come into play until 1939, when it was supposedly first used in print. Overall, fan-fiction itself did not gain much popularity until the Star Trek series came out in the 1960s and fans within the Star Trek fandom published fan-fiction in the ‘fanzine’ known as Spockanalia. The writing of fan-fiction really took off when fanfiction.net was launched in 1998. As a free site, fans of any and every fandom can come together to write, share and read fan-fiction. And a fun fact, the top fandom with a whopping 712,000 stories is the infamous Harry Potter series, whereas the second-in-line fandom, Naruto, holds only 381,000 stories. Why write or read fan-fiction? Well, why do you watch TV shows or read books? For entertainment! Reading fan-fiction is just the same as reading a book in most cases, since most fan-fictions are multi-chapter. However, there are a ton of one-shots – which are essentially short stories revolving around one or two characters at a given time. For some, writing might not seem like entertainment, but when it comes to fan-fiction, it pretty much is because those who are writing control the stories of their favorite characters. It’s using your own imagination and what isn’t fun about that? 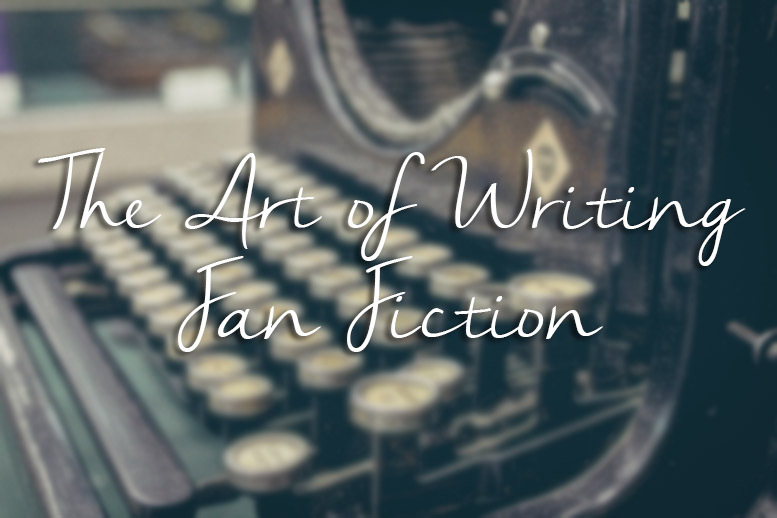 Writing fan-fiction also builds up your writing skills, just as blogging does. While blogging might have more benefits down the line, I can’t say that writing fan-fiction hasn’t been beneficial. When I first got into writing fan-fiction, it was on a forum for a Nickelodeon show I watched faithfully in my teens. On that forum, I have met some great people who today are still some of my close friends. And, of course, my writing in the fictional genre has improved immensely over the years – I actually cringe at my very first fanfics. Are there any rules for writing fan-fiction? Just write – that’s pretty much the only “rule” I can say there is. Of course, there are certain guidelines or fan preferences, as I like to call them. Original Characters (OCs) – Original characters can be a great spin in fan-fiction, but try not to add in too many new characters. Two or three can be fine in most cases. After that, it just gets confusing. Out-of-Character (OOC) – Sometimes when we write our favorite characters from a show, we tend to give our own spin to the personalities they portray on the page or screen. Everyone tends to act a little different than normal at times, but like the OCs, try not to make the canon characters too different from their original personalities. After all, that’s why we fell in love with these characters in the first place. Crossing Over – Crossover stories between two shows or books can be great at times, but not-so great other times. Of course, execution is key, but it also helps when the fandoms at least somewhat relate to each other. Because really, who would read a crossover between Glee and Star Wars? I’m a fan of both and I wouldn’t. Some worlds just cannot be mixed together, even in fan-fiction. Venturing from Canon Couples – I won’t lie, you can get into trouble for venturing from the canon couple of a show, but thankfully in my experience I’ve never had anyone get angry at me for doing this. I think as long as the story had a good plot and is written well, you can get away with not pairing the canon couple. Line Spacing – This just goes with the art of writing in general… please, please please use proper line spacing and formatting when writing fan-fiction. I know this isn’t a work you’re getting a grade on or getting paid for, but I will tell you the truth right now… more often than not when a reader comes across a story written in a large, 700-word paragraph, they will leave your story and move on to the next one. Plan/Write ahead of time – I know when the idea for a fanfic hits you, you just want to write it and share it as soon as you can, but fight this urge. When an idea comes, plan it out (unless it’s for a one-shot). I can’t tell you how many times I just dove into writing a story and to this day, is still not finished. Life happens and sometimes ideas just fade out, so you stop writing. Take the time to plan out the story and write a few chapters in advance, so if you get stuck, you can still update while you are brainstorming. As I said before, the only real “rule” to fan-fiction is just to write it. These are just some suggestions to anyone interested in writing fan-fiction because it makes the experience better for both writer and reader. That way, everyone in the fandom is happy. Fan-fiction might be a weird concept to the outsiders, but hey, don’t knock it ’til you try it. Hi, just stumbled across your blog. :) I totally agree that fan-fiction isn’t a waste. No writing is! Whatever gets your imagination racing and your fingers battering away at the keyboard is good practice. Fan-fiction is so effective because it builds upon a base of already-loved characters, which is inspiring for writers and readers alike. It’s a fantastic place to start if you’re new to writing, or want to test the water. As a genre it’s so easily dismissed as ‘silly’ – but let’s see the critics write their own stories, eh? Great post, and I sympathise with the retrospective cringing about early attempts. I’m glad my ‘Marauders at Christmas’ one-shot never saw the light of day! Thank you for your comment! It is a great way for someone new to writing because the character part is already taken care of for them. 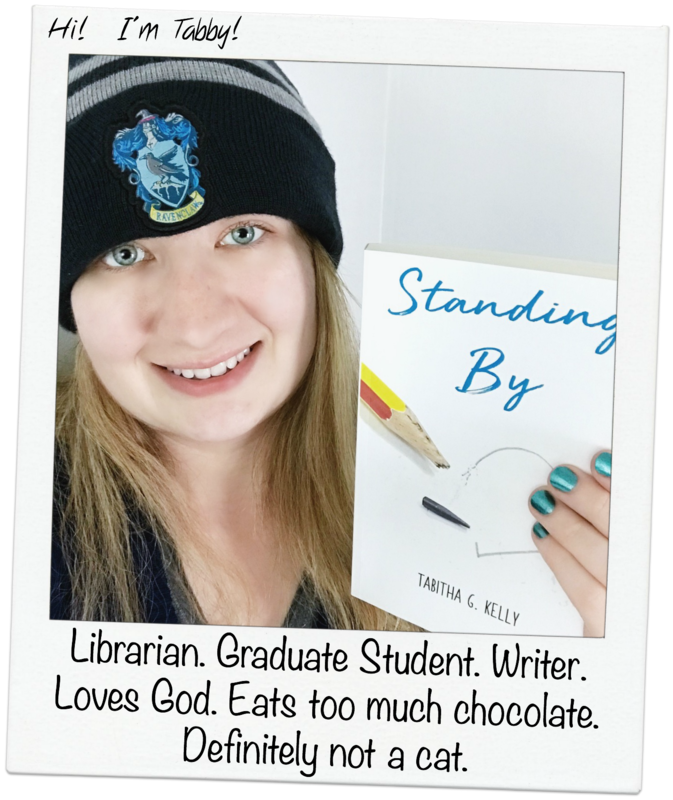 Fan-fiction is what really got me into writing and I think I said in the post, it even led me to meet some great people in other states because we connected through sharing our fanfics with each other. And I’m glad I’m not the only one who looks back on my old work and cringes… I’m glad a few of mine never made it out there either! Haha! I’d say fan-fiction is *much* older than the 1740s! The tale we now know as “Troilus and Cressida” got its own sequel not too much after Chaucer wrote his version, and all sorts of additional tales got tacked onto the end, middle or even beginning of various parts of the Arthurian saga. And I think it was game reviewer Yahtzee who described Dante’s “Divine Comedy” as the world’s first self-insert fan-fiction. Of course, when you get right down to it, fan-fiction really started back in the ancient Mediterranean. Every time a playwright or poet went to set down a myth in verse or prose (but usually verse) he changed it around to fit his whims/purposes. This one poet named Stesichoros wrote what would best be described as an AU version of the Trojan War to vindicate Helen by explaining that she never went to Troy, that it was just a phantom in her image. Then other poets (Euripides, for example) repeated his story, and it became accepted as just another “true” variation of the myth. That’s why, by the Hellenistic and Roman eras, authors needed mythographers like Apollodorus and Hyginus to catalog all the myths and declare which versions were “canon” and which weren’t, so they wouldn’t have to try to remember them all. But I can’t escape from my fan-fiction roots. I keep writing/imagining AU versions of things in the myths, or even of the backstory for the characters in my own sci-fi take on the Trojan War. Writing for what ever reason is a wonderful way of expressing your creative side. Your blog shows your wonderfully creative side!